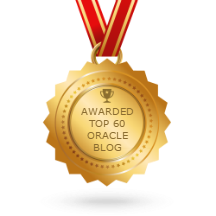 Migration is the process of copying the schema objects and data from a non-Oracle database, such as MySQL, Microsoft SQL Server, Sybase Adaptive Server, Microsoft Access, or IBM DB2, to an Oracle database. 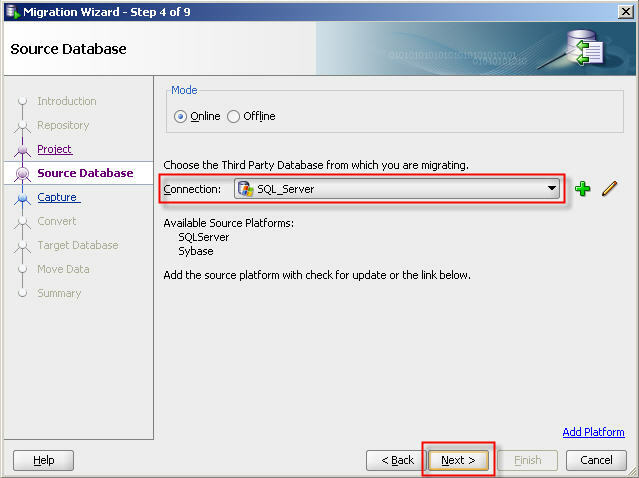 After a brief explanation about the process of migration, let’s do a simple migration from SQL Server database to Oracle database. 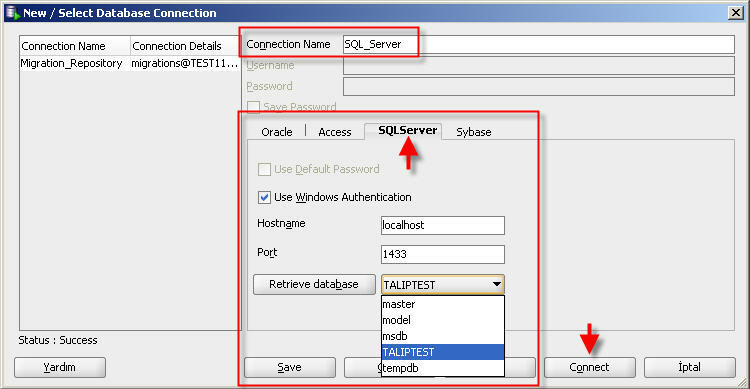 1- I created sample SQL Server database named TALIPTEST. 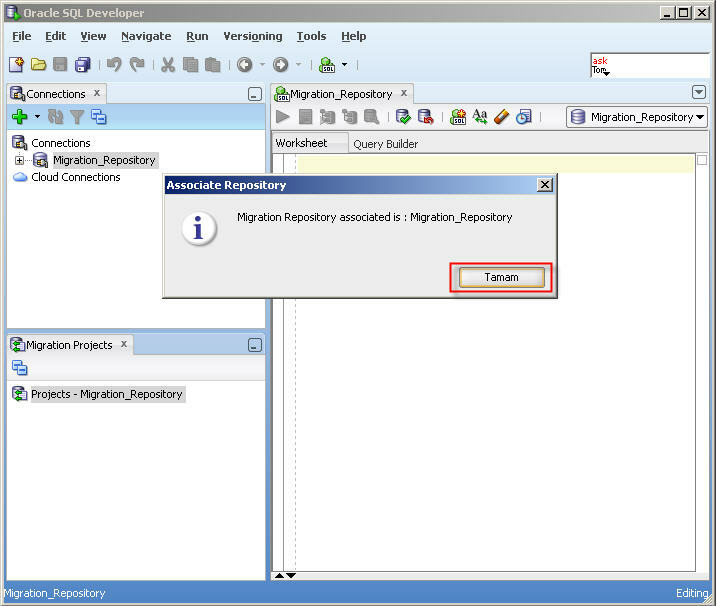 2- The migration repository is a collection of schema objects that SQL Developer uses to manage metadata for migrations. 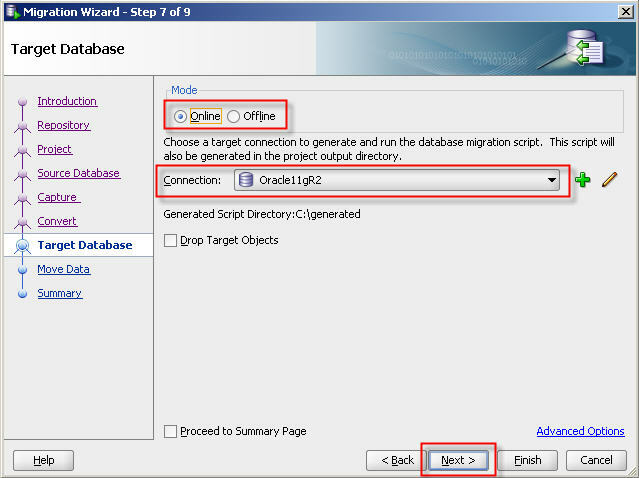 For a migration repository create a database connection to convenient Oracle database and give following grants. 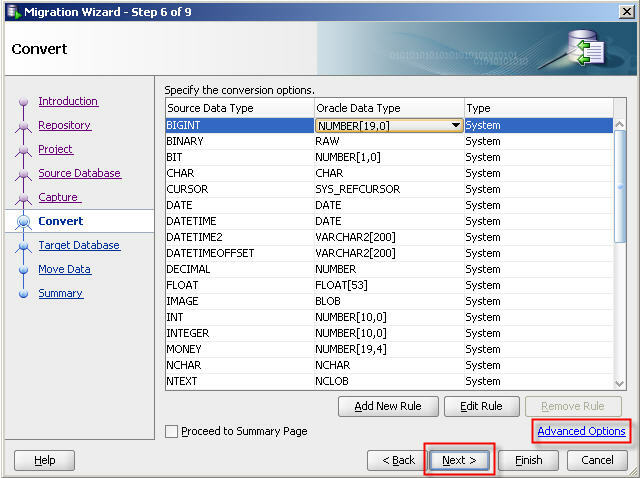 For multischema migrations, you must grant the privileges with the ADMIN option as follows. 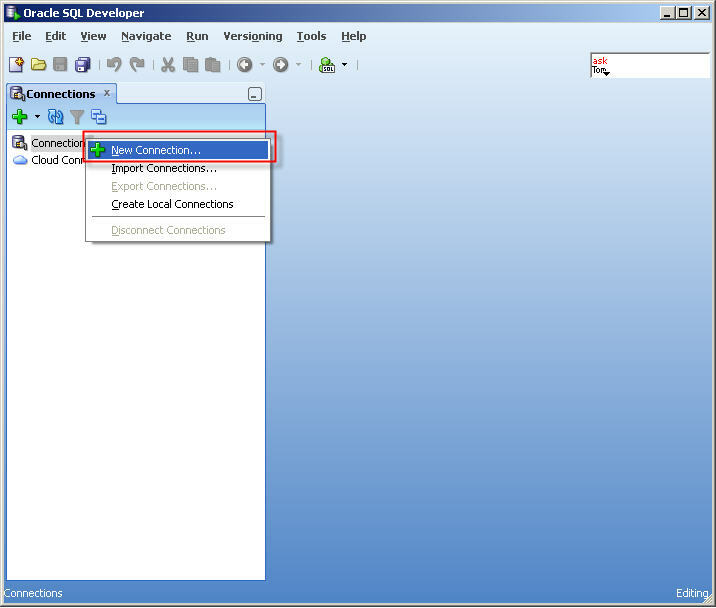 4- Unzip the file named sqldeveloper-3.2.20.09.87.zip and extract it. 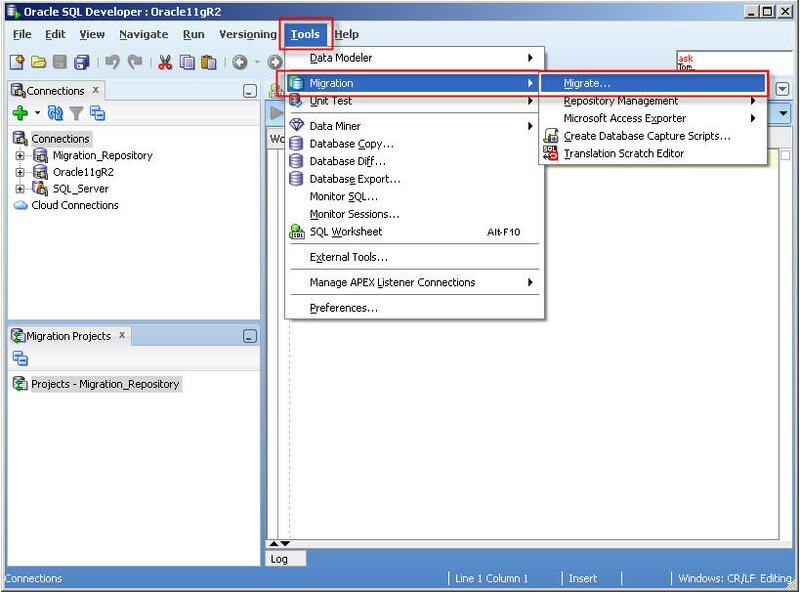 Open sqldeveloper.exe file to open SQL Developer. 5- Right click to the “Connections” and click the “New Connections”. 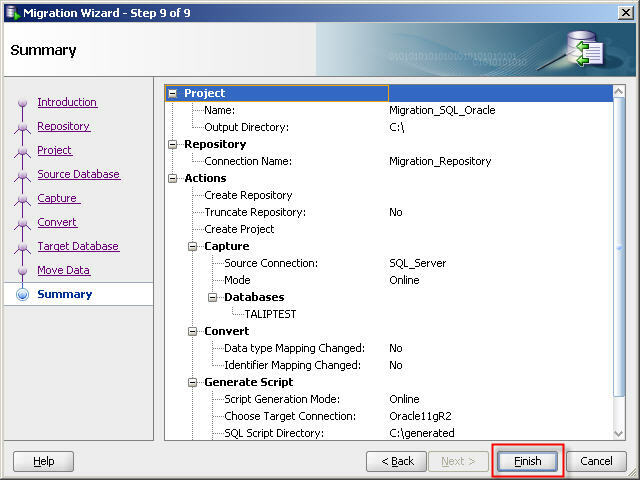 6- Create a database connection named Migration_Repository that connects to the MIGRATIONS user. 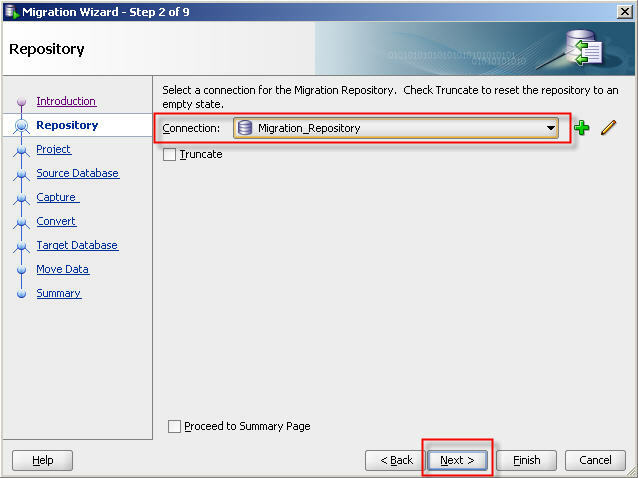 7- Right-click the Migration_Repository connection, and select “Migration Repository” menu , then “Associate Migration Repository” to create the repository. 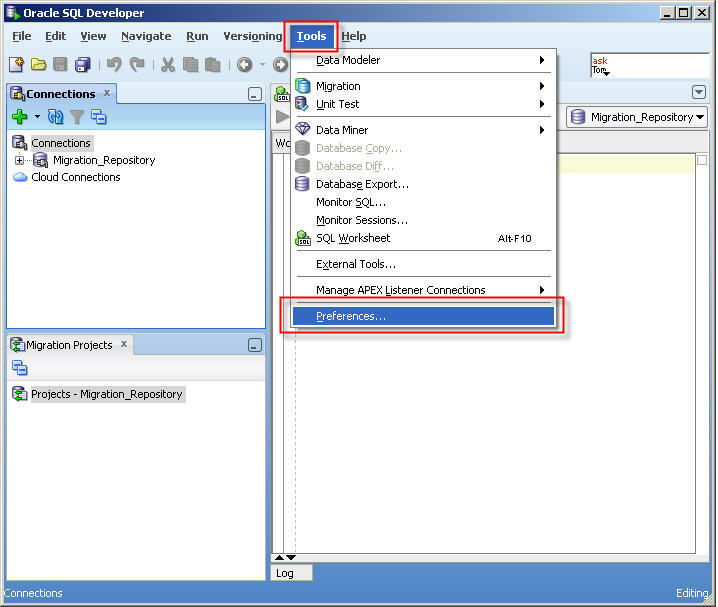 8- Schema objects needed for migration will be created in MIGRATIONS schema. 10- Click “Tools” and then “Prefenrences”. 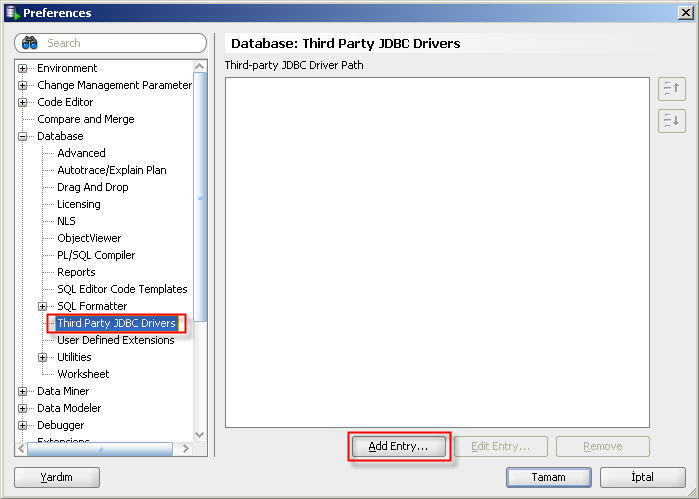 11- Select “Third Party JDBC Drivers” and click “Add Entry” button to add jTDS driver for SQL Server. 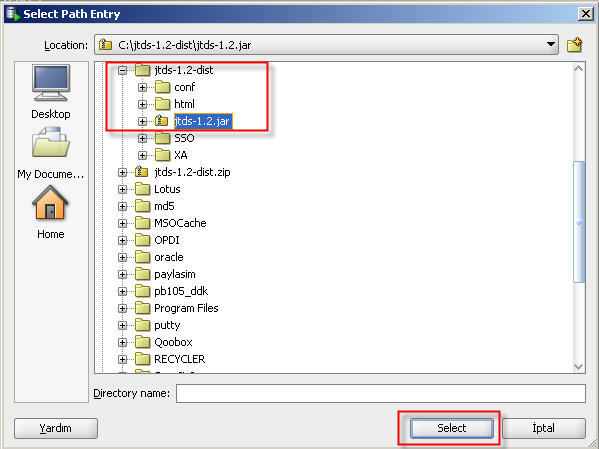 12- Select jar file located in jTDS driver folder. 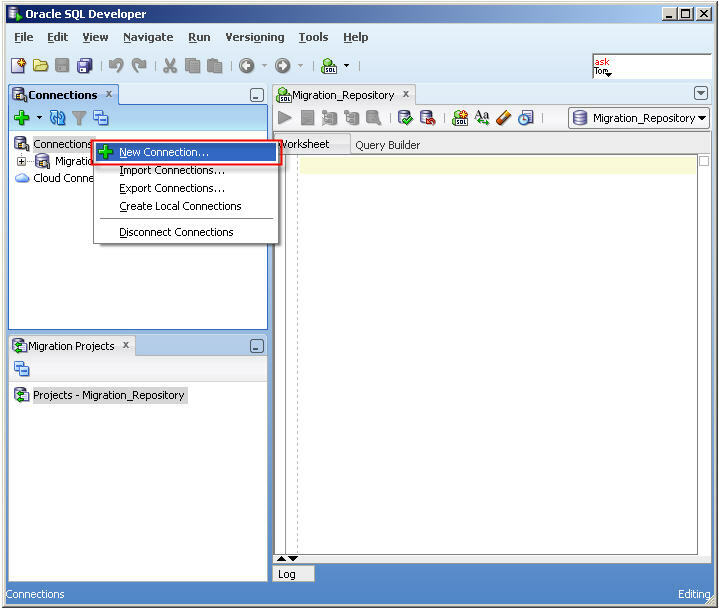 14- Now you can connect to SQL Server or Sybase database using SQL Developer. 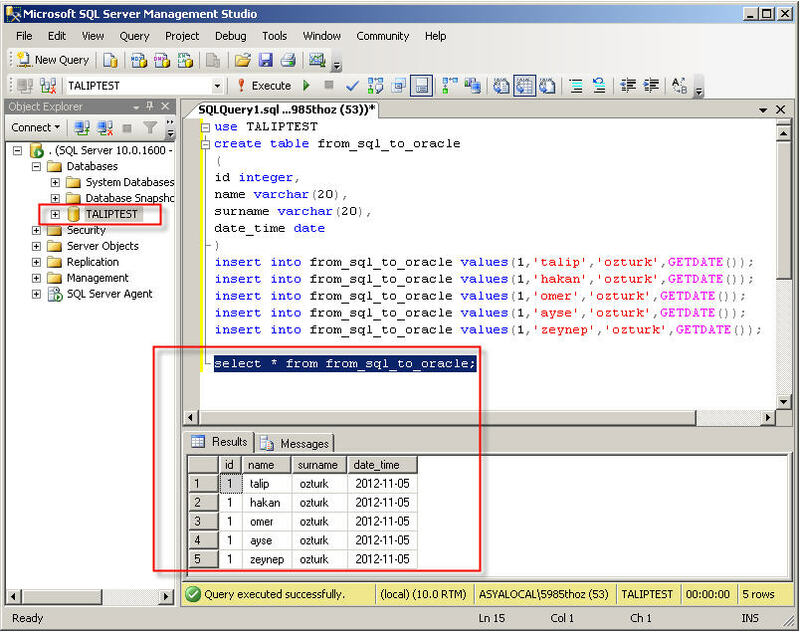 Connect to the SQL Server database as follows. 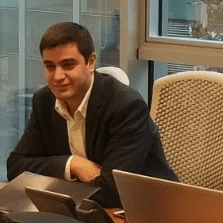 15- And finally, let us create the database connection which we will migrate to. 16- The migration wizard is invoked in a variety of contexts. 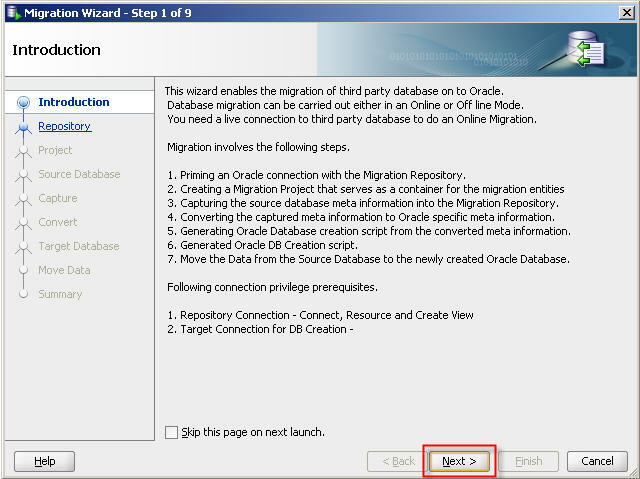 You can right-click a third-party database connection and select “Migrate to Oracle” or you can click “Tools>Migration>Migrate…”. 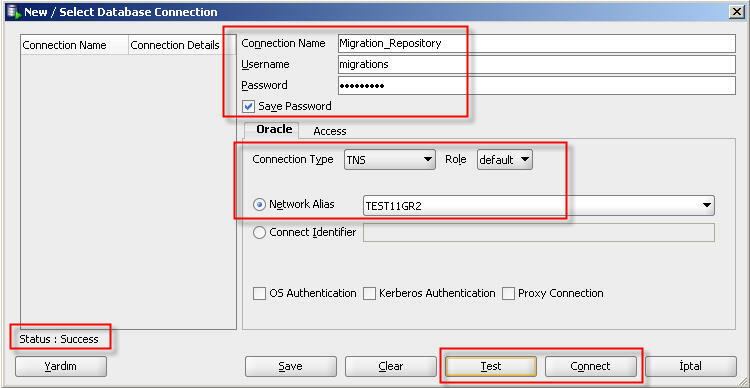 18- Select migration repository database connection. 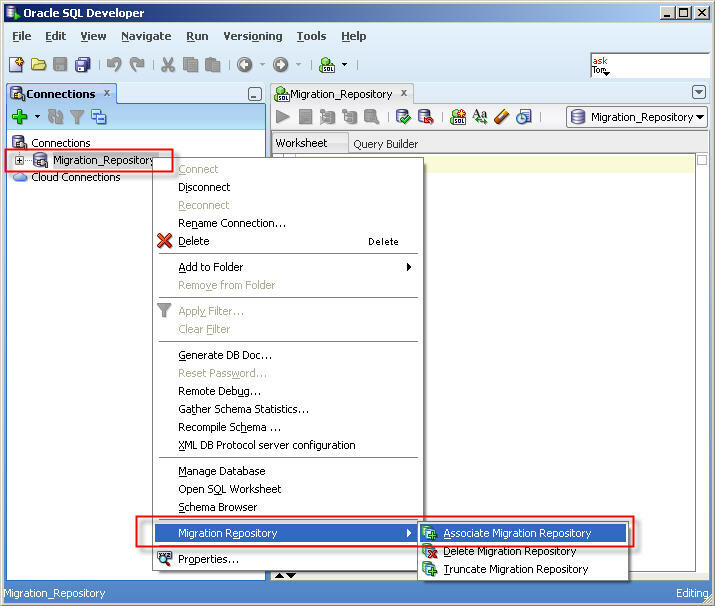 19- Give a name for migration project and select a directory to write output. 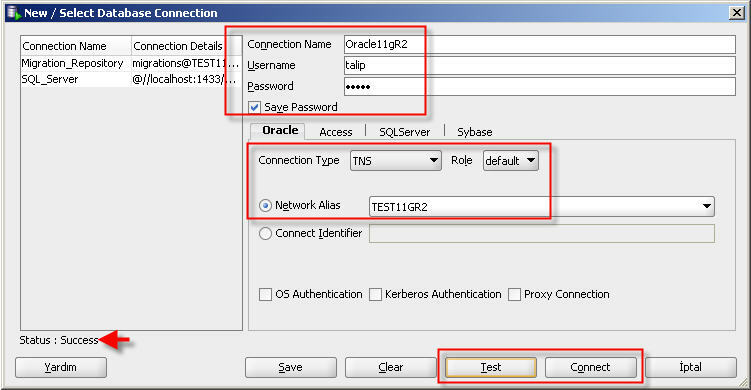 20– Select third party database connection. 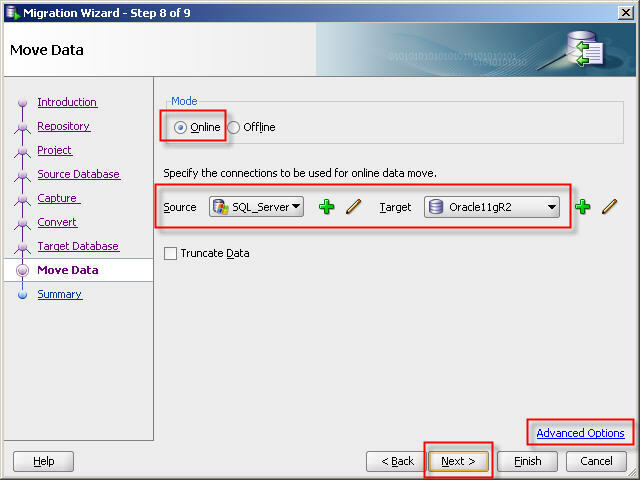 You can migrate database on online or offline mode. If you choose online migration then Migration Wizard will perform all needed operations. 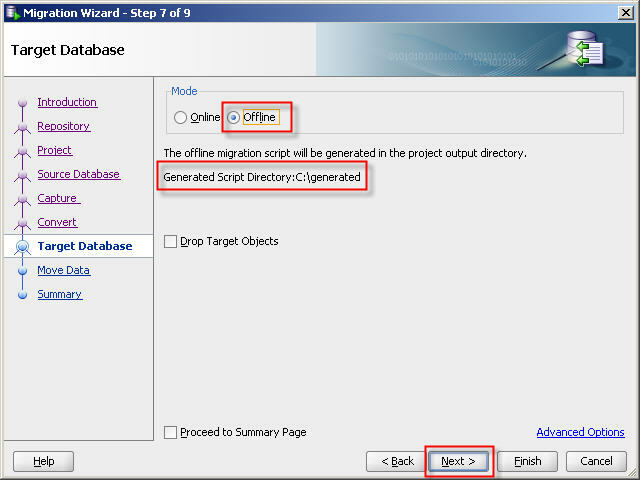 If you choose offline migration then Migration Wizard will generate all needed DDL scripts. 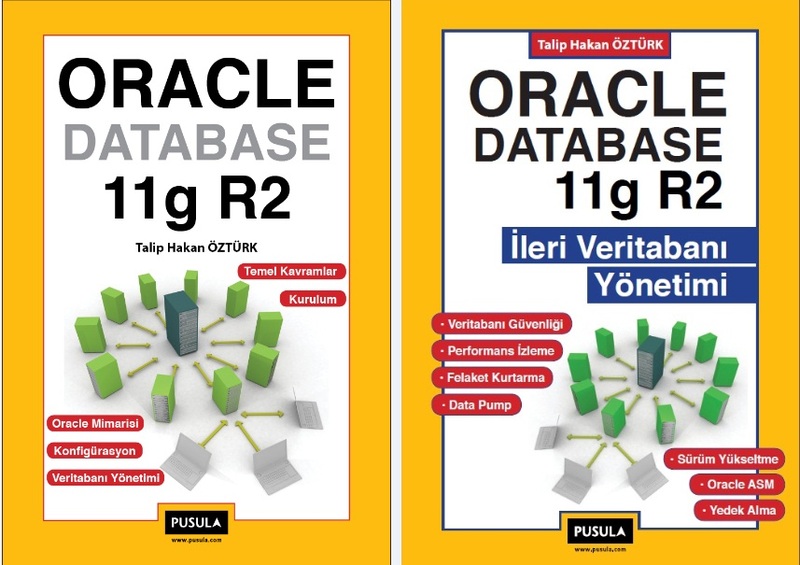 21- Select SQL Server database which we want to migrate to Oracle. 22- Specify the conversion options. 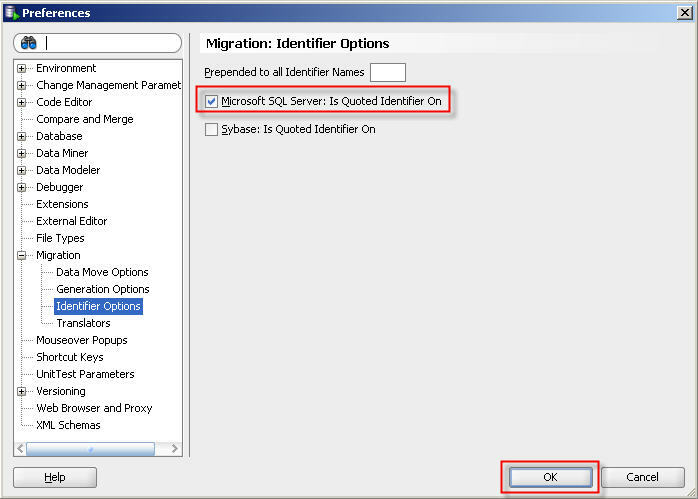 And click “Advanced Options” link to ensure “Microsoft SQL Server : Is quoted identifier on” option is selected. 23- Select target database connection. 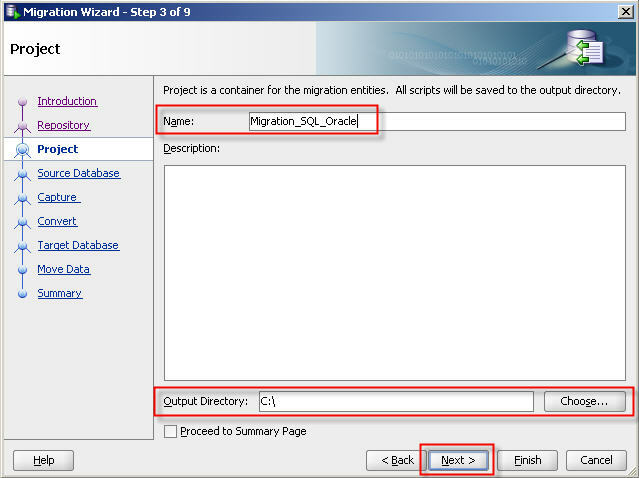 24- If you select offline migration then offline migration script will be generated in the project output directory. 25- Select the connections to be used for online data move. 26- Click “Finish” button so start migration. 27- Migration and conversion process will be perfomed as follows. 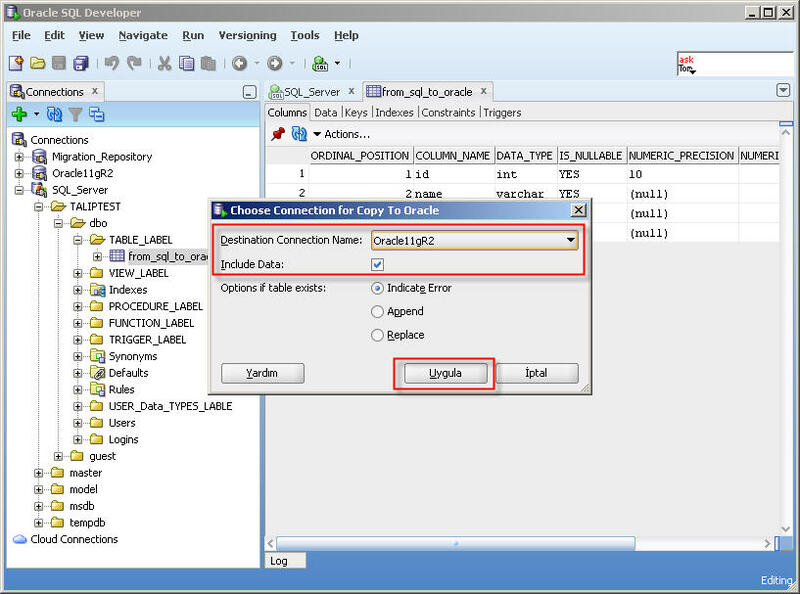 Select destination (Oracle) database connection and click “Apply” button. 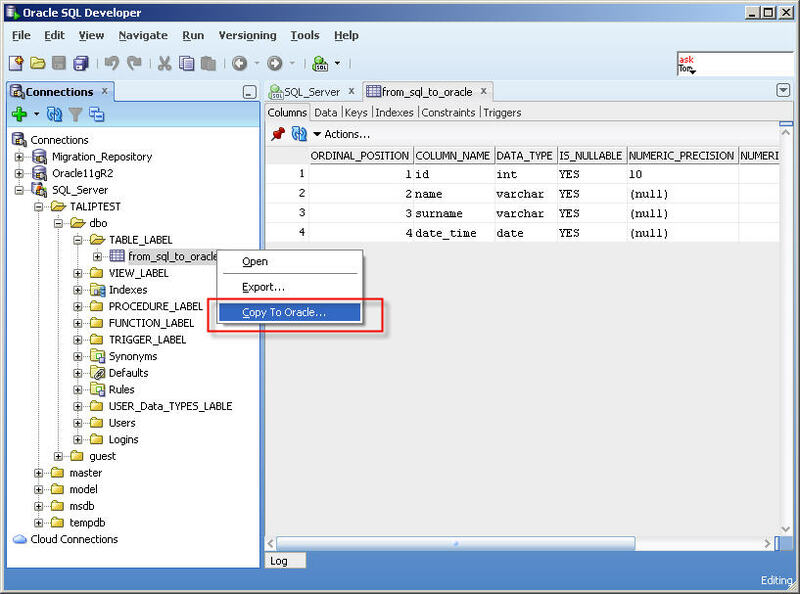 If you choose “Include Data” check box it will create table structure and move data. Copy to Oracle database is finished. Note: This method doesn’t move indexes, triggers, etc. It only moves table structure and data. I want to talk about a situation that happened to me a few days ago. I Logged in to one of my databases and my connection was hanged. My database was not accepting new connections. Now bound to the database server and I checked the status of the listener. Everything was normal. The listener is listening to my database. So I didn’t get any error from listener. I tried to log in with “sqlplus / as sysdba” but I failed. Connections on the server was also hanging. I checked the background processes. Everything was normal. And I learned something I did not know until that day. The backdoor entry of the Oracle database! You can enter to the database through the back door using SQL * Plus tool with “Prelim” parameter:) Prelim, directly connects to the SGA but it does not open a session. Now, you can analyze the SGA using oradebug command. A trace file will be produced in the directory configured in user_dump_dest parameter. If we are to sort the files according to time we can get the most recent trace file. You can also get the trace file name with oradebug command. When we examine the trace file, we see that lines beginning as follows. If we continue to examine the trace file We can see the details of the session that caused the problem. When we kill that session from OS, everything will be OK.
ORADEBUG is a command and can be executed from SQL*Plus to view process internal information. You can see a list of ORADEBUG commands by following command. 1- Set process PID number which you want to trace. You can see it on PID column in V$PROCESS view. For example; to monitor LGWR process statistics which PID number is 11. 2- Get statistics for LGWR process. 3- Write statistics to file. 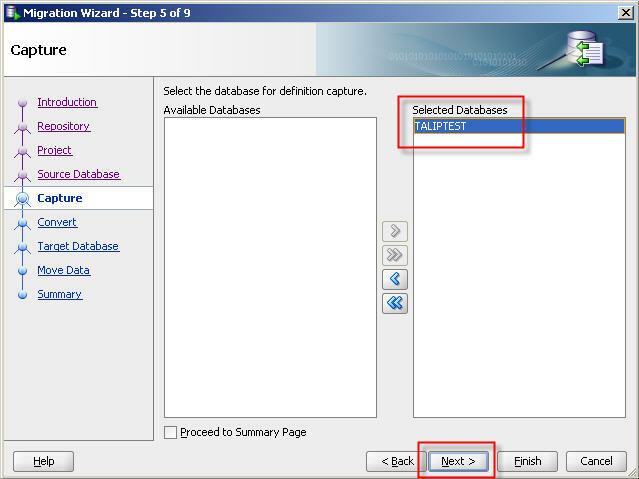 The Enterprise Manager console will not work when database host name and / or IP address changes. We must run EMCA tool for reconfiguring the OEM database console. To do this, use the following commands. If our TNS configuration changes (for example, the listener (listener) port is changed), in this case we can still configure with the EMCA tool as follows. Example: EMCA wants some information during repository drop and create operation. Such as SID, listener port number, SYS and SYSMAN passwords.